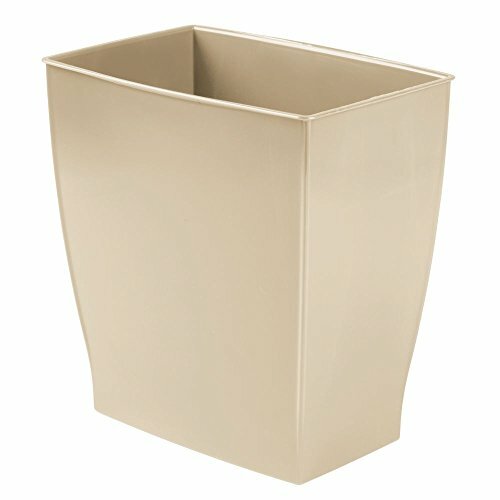 The InterDesign Mono rectangular wastebasket has ample room for household trash or recycling. Its compact, functional design is great for small spaces in the bathroom, kitchen, office, laundry rooms and more. Easy to clean with a damp cloth. 7.10" x 11.20" x 12"